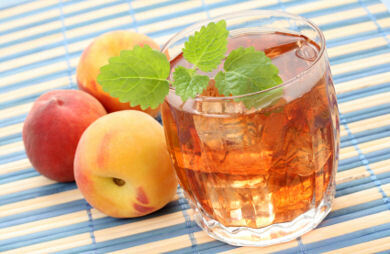 Peach tea is an herbal decoction brewed from the fresh or dried leaves as well as the bark of the peach plant found in the Northwest China, having several therapeutic properties owing to the presence of essential nutrients. 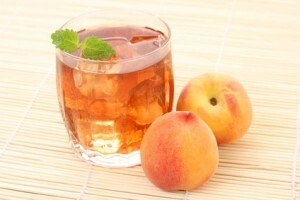 Alternately, the edible, fuzzy peach fruits are also used along with regular tea to prepare healthy drinks. 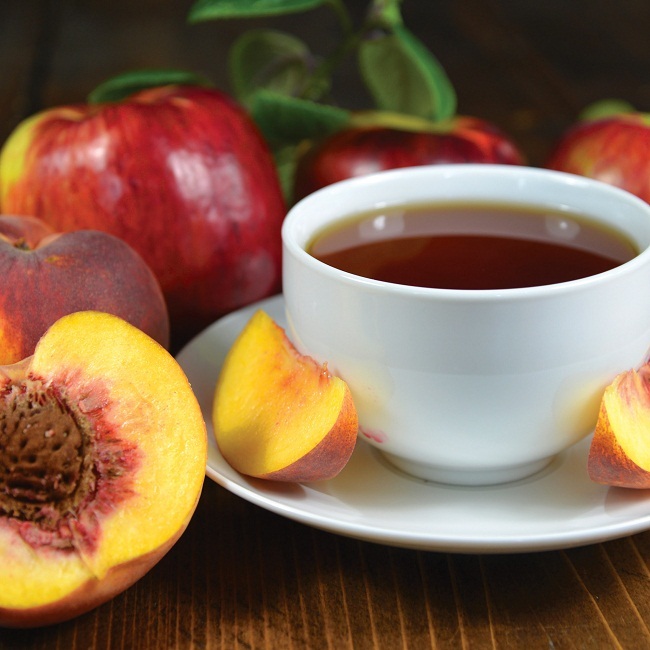 According to some ancient texts, the fresh leaves of peach were used to make a poultice and applied topically to eradicate worms. 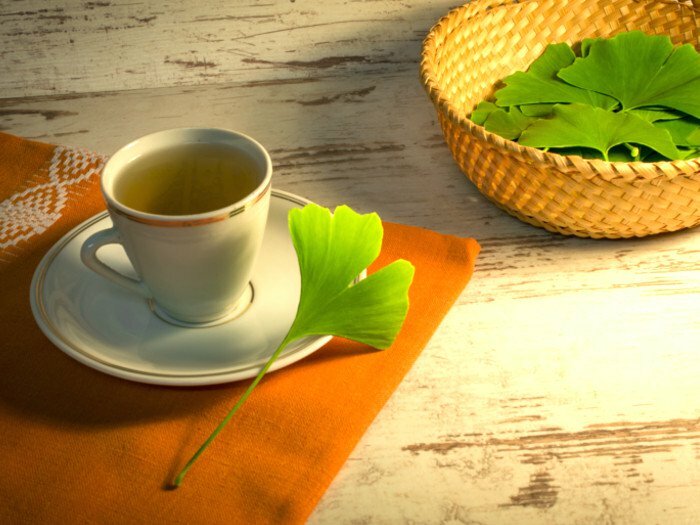 On the other hand, an herbal infusion prepared from the dried leaves was regularly consumed to get rid of intestinal worms. The decomposed leaves were considered to be a remedy for warts in Italy. Both leaves and bark of the peach tree were also used for treating bronchitis and whooping cough. 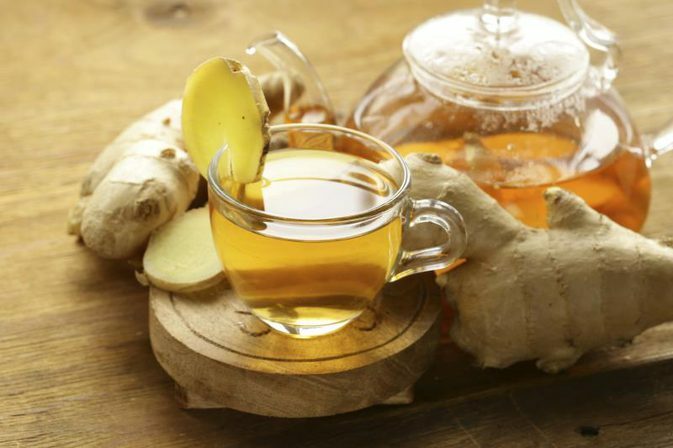 The fibers and potassium in the tea facilitate bowel movements, preventing common digestive conditions such as constipation, gastritis, colitis, and stomach ulcers as well as eliminating the toxic wastes from the body, thereby promoting the function of the kidneys and liver. Its antioxidant effects coming from the presence of zinc, ascorbic acid, and vitamin C might be useful in promoting healing of wounds as well as fortifying the immune system by fighting against infections, and thus helping in managing pneumonia, common cold, diarrhea, and malaria. Besides antioxidants, including chlorogenic acid, it contains vitamin A that plays a role in reducing the risk of oral and lung cancer. In addition to having lutein and lycopene, its potassium content aid in metabolizing carbohydrates as well as stabilizing the electrolyte levels that helps in curbing the risk of serious heart disorders. Its beta-carotene being a precursor of vitamin A is believed to promote good vision by protecting the retina, along with lutein and zeaxanthin, preventing age-related vision loss and night blindness. 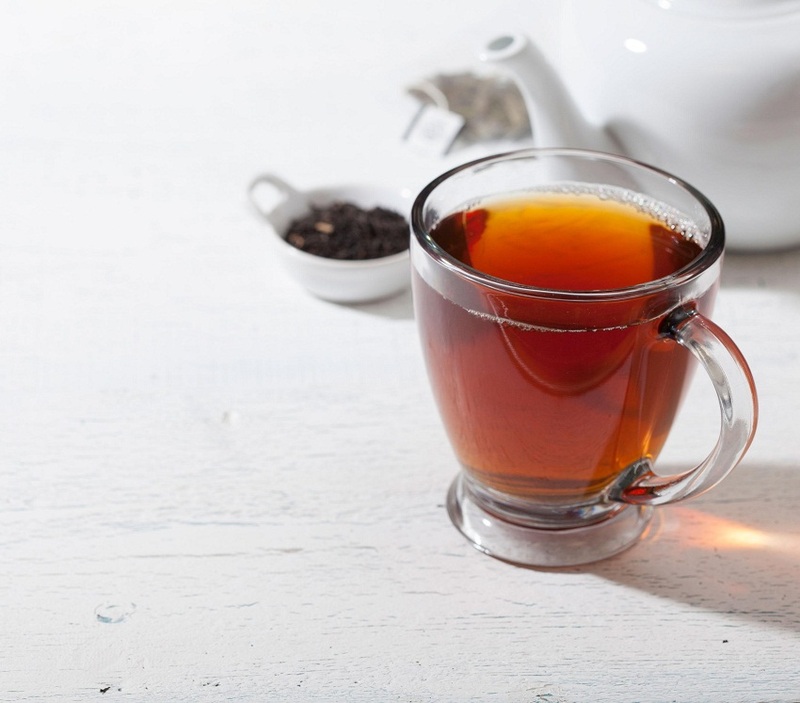 A good source of calcium, phosphorus and fluoride, the herbal tea might be beneficial for strengthening the bones and teeth, minimizing the risk of osteoporosis and preventing dental cavities. It magnesium content helps in calming the nerves providing relief from stress and anxiety as well as managing the symptoms of depression. Apart from being low in calories and fats and having phenolic compounds, its natural sugars neither affects the blood sugar levels nor accumulates as fats in the body, reducing the risk of obesity. Consumption of peach leaf tea might be effective for reducing bronchitis, cough, insomnia, high blood pressure, and bad breath. 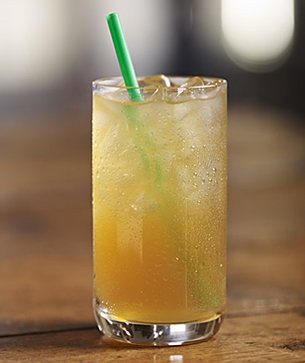 You can add some milk to the mixture to enjoy a cup of peach milk tea. You may also add some peach syrup to the drink for enhancing the flavor. Consumption of peach herbal tea does not lead to any adverse effects. However, its excess intake might cause abdominal distress. Its use should be immediately discontinued in case of an allergic reaction. 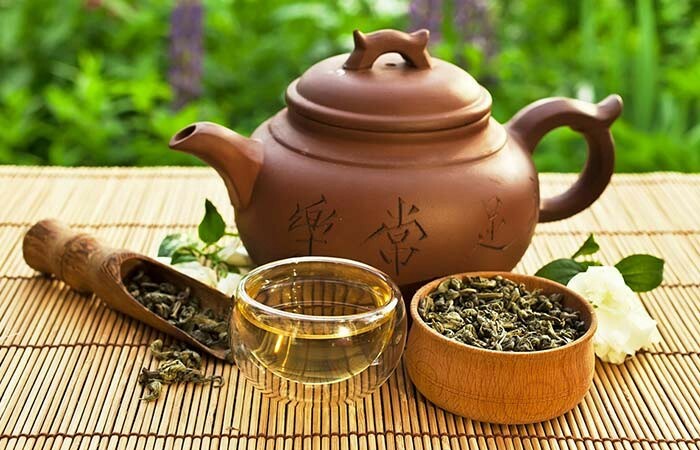 The laxative properties of the leaf tea make it unfavorable for drinking by pregnant women. It would be safer to avoid its consumption by breastfeeding mothers. 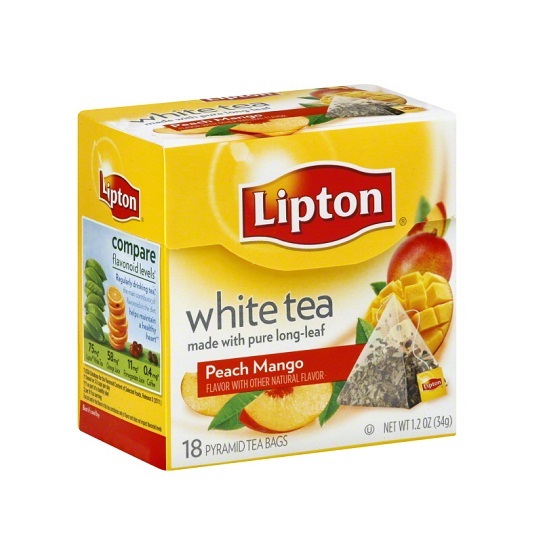 Organic peach tea leaves and tea bags as well as its other popular variations like ginger peach tea, peach green tea, white peach tea, peach black tea, peach oolong tea, peach mango tea, can be purchased online or from any herbal tea selling shop. 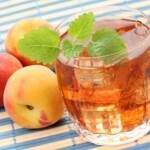 Bottled or canned peach ice tea can also be availed from any online herbal tea store. 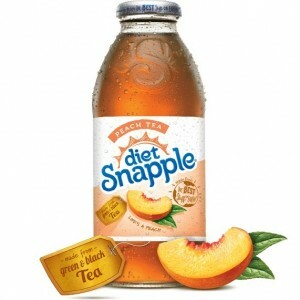 One Response to "Peach Tea"
I will try the peach leaf tea. i will be using fresh peach leaves from my garden. it seems that i have a new case of bronchitis so i need help with it.